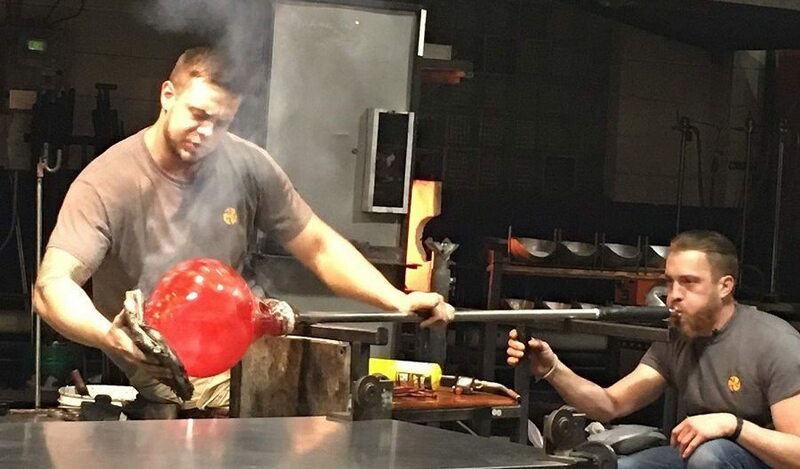 This is where it all began! 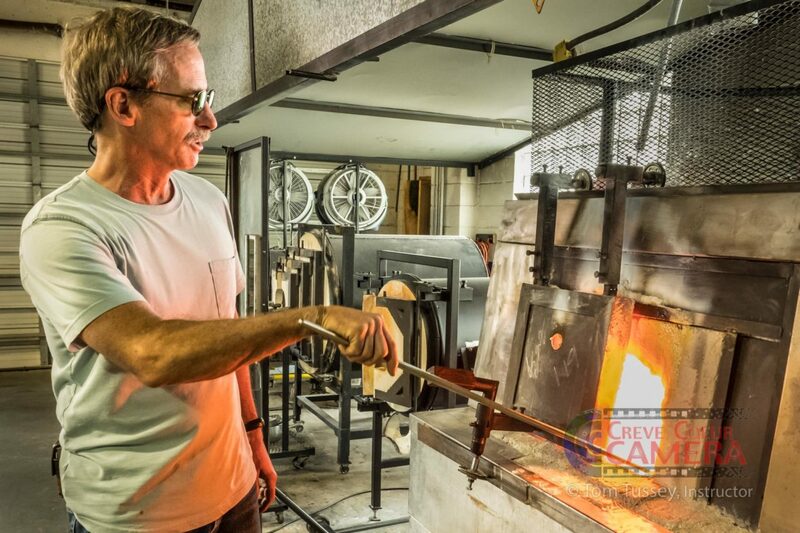 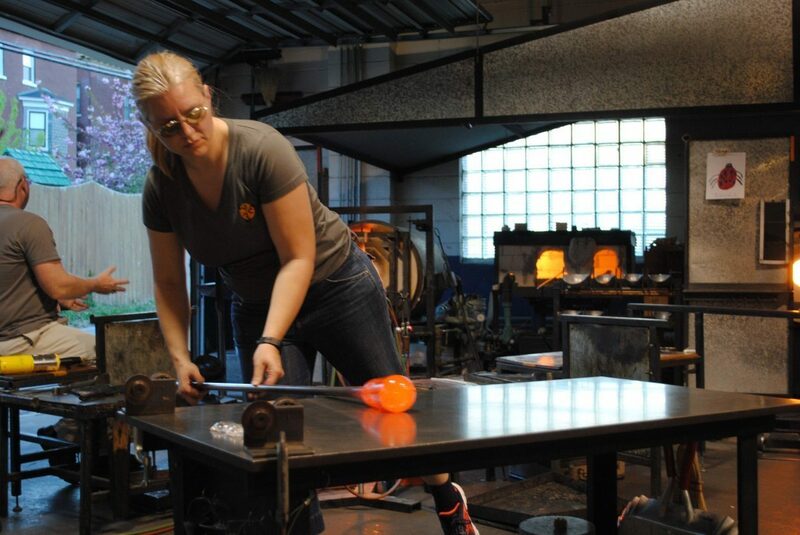 Our Hotshop — or Glassblowing studio — is an amazing facility for working with hot glass. 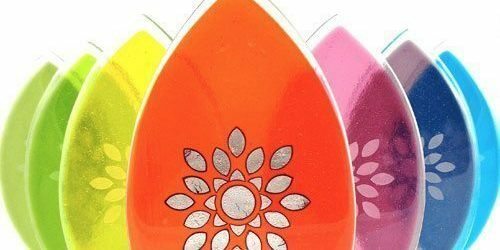 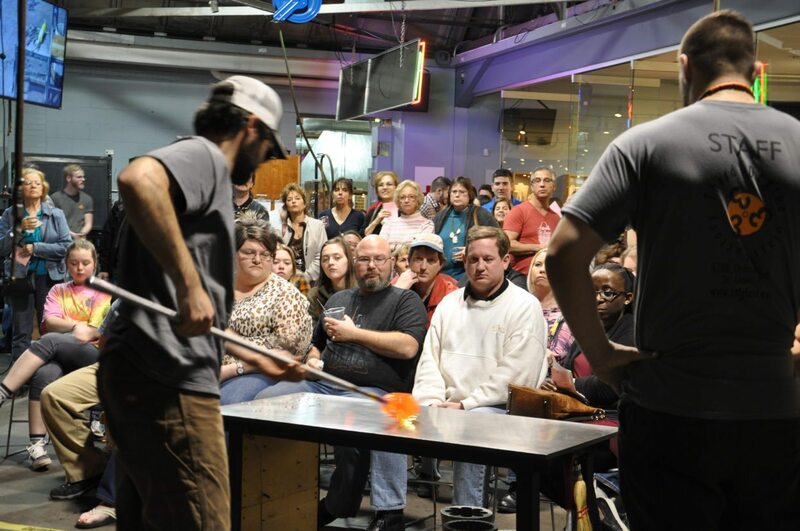 Glass enthusiasts of all skill levels are welcome to take classes, watch live demonstrations, and rent time to produce original artwork at competitive rental rates. 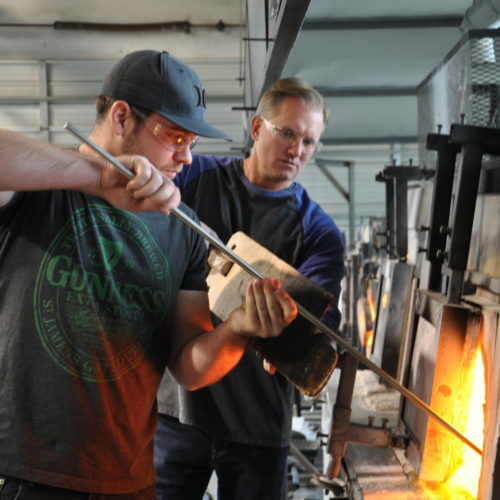 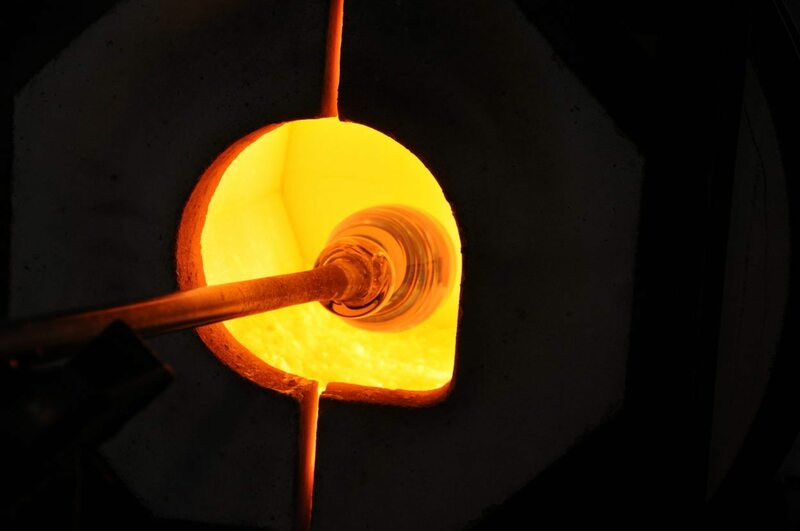 Rental rates include clear glass from the furnace, use of marvers, bench, hot torch and bench torch, annealers, and basic hand tools, blowpipes and punties. 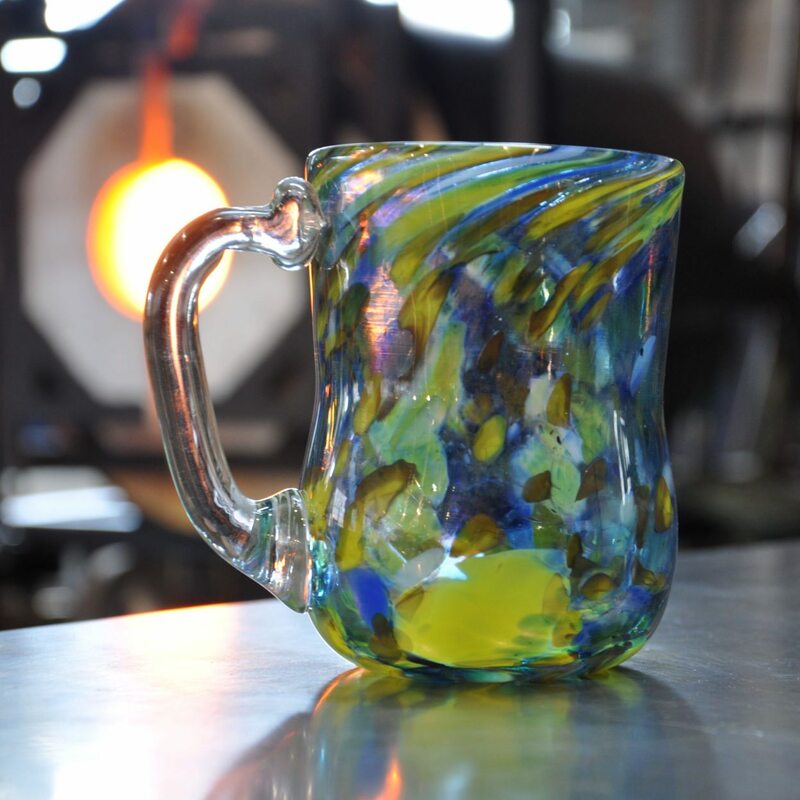 *Rate for students who wish to rent time for practice under instructor supervision. 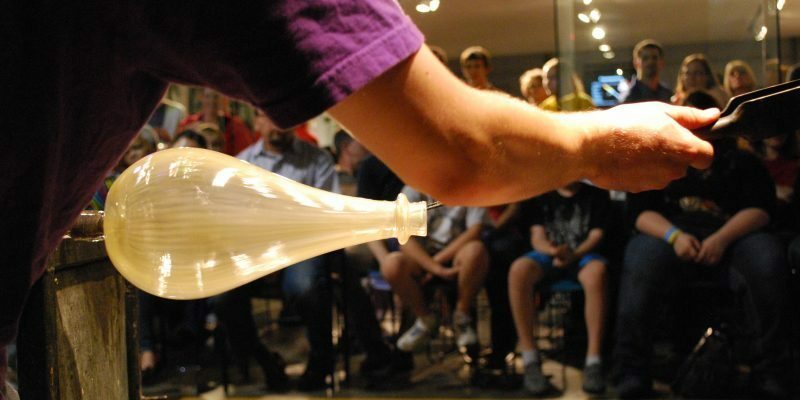 Advance reservation & orientation required. 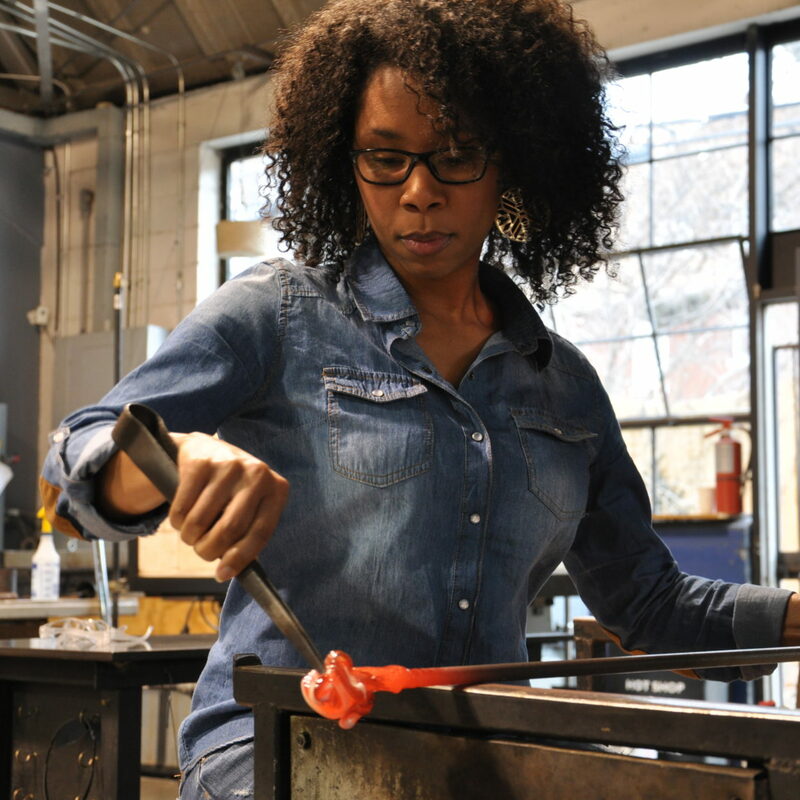 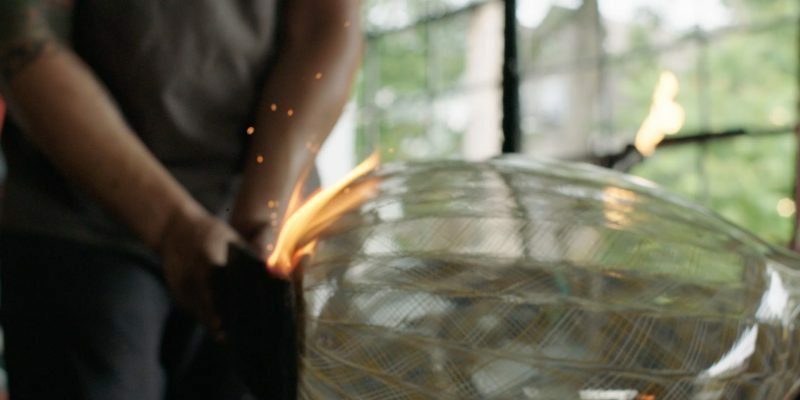 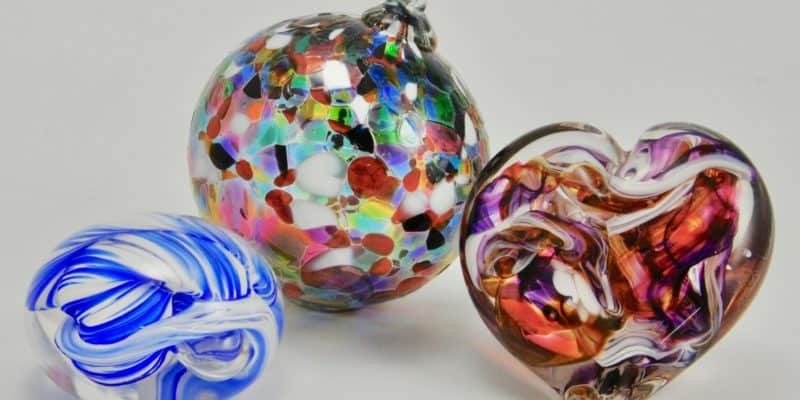 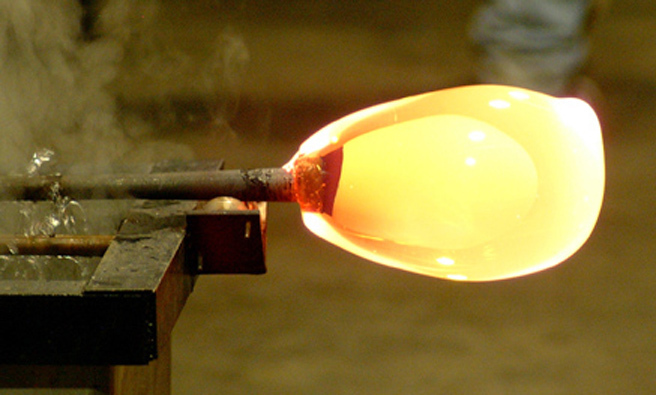 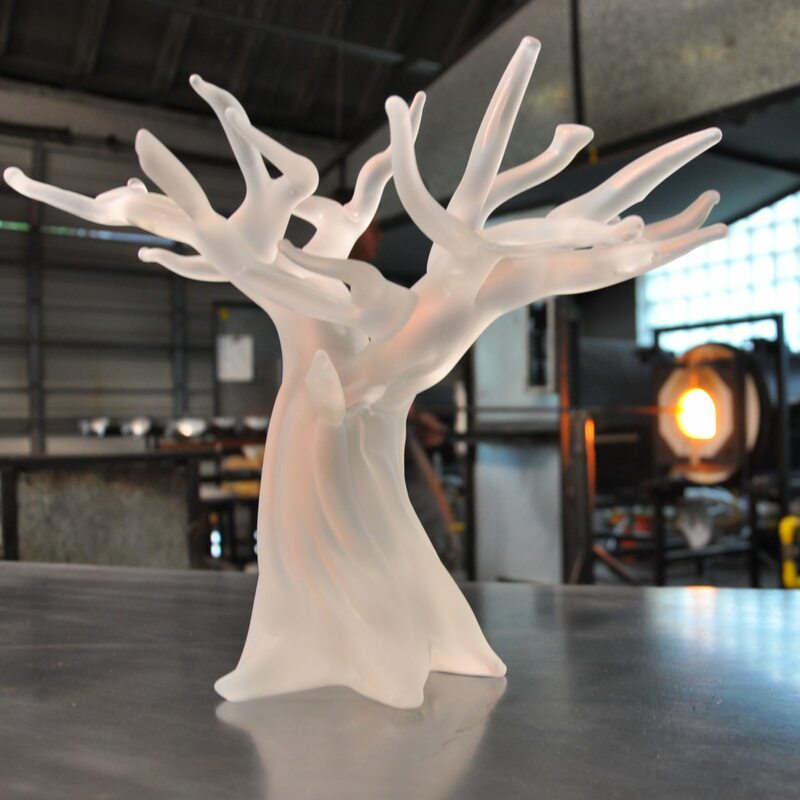 Want to just try your hand at glassblowing? 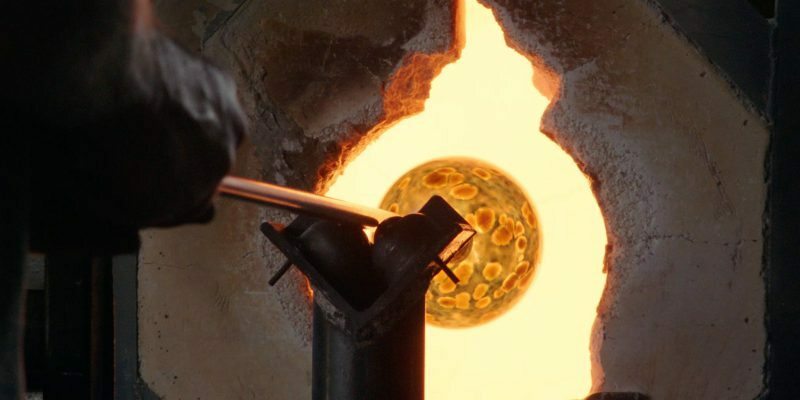 You can make an item in the Hotshop! 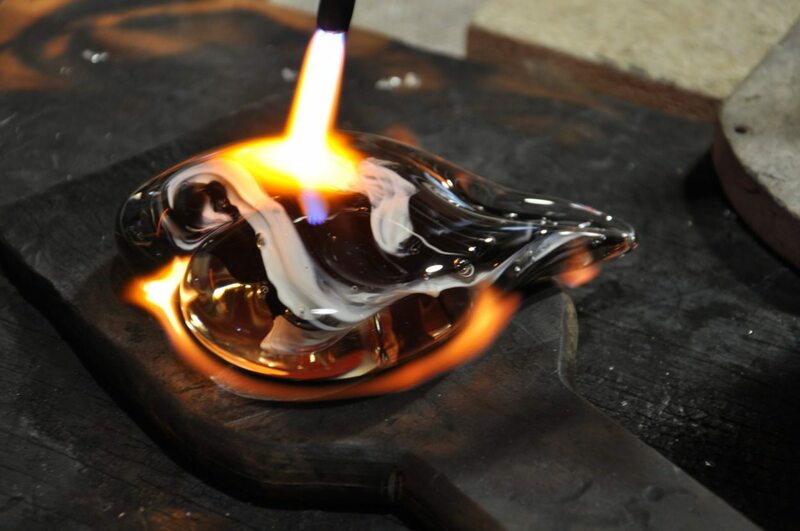 Our Experiences are great for making something you can show off to your friends and family! 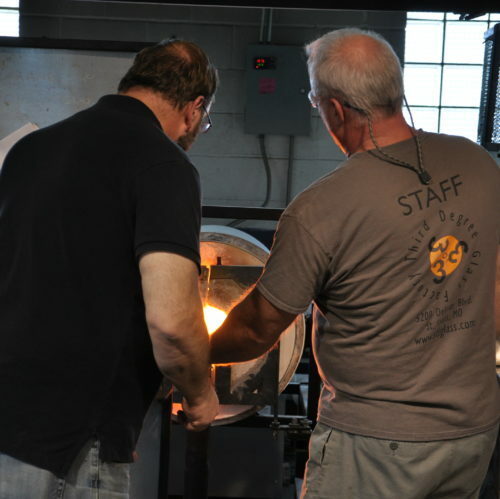 Come in Monday-Friday, 10:00a-5:00p for a group Experience or try it out at our Third Friday open house! 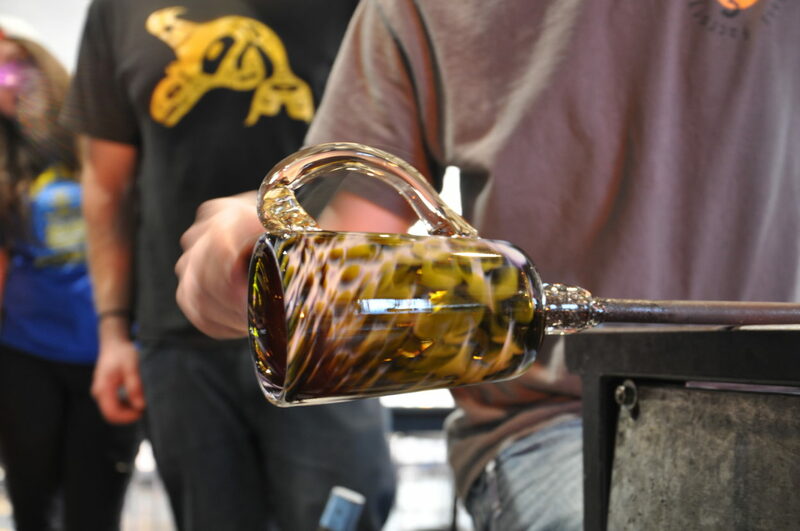 Dan Alexander first became interested in glass after watch- ing a glassblowing demonstration in a small studio in Ohio. 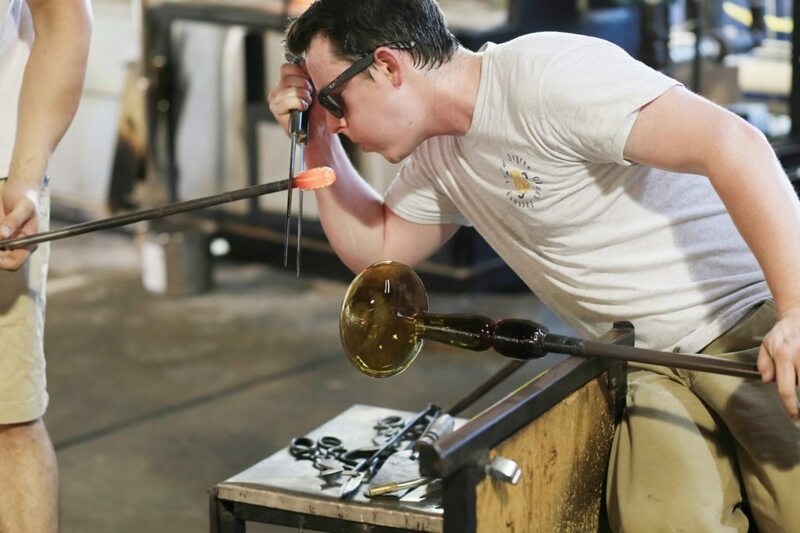 He found that glass was an intriguing material that he had to experience first-hand. 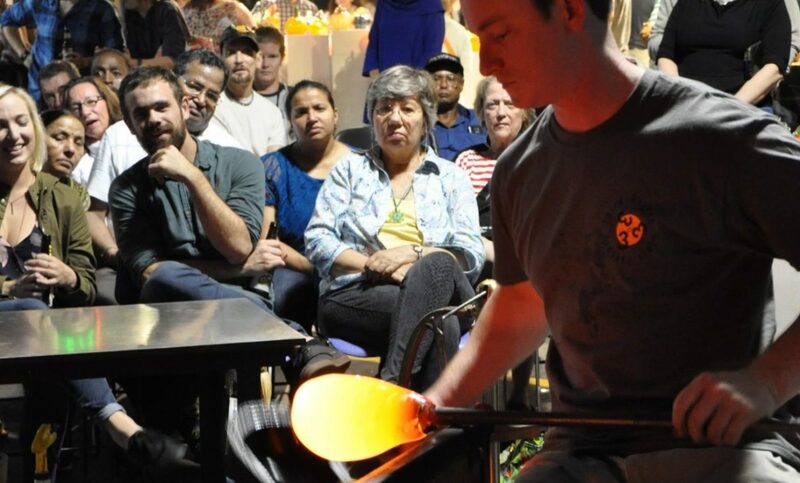 This inspired Dan to take his first class with George Kennard at The Corning Museum of Glass Studio. 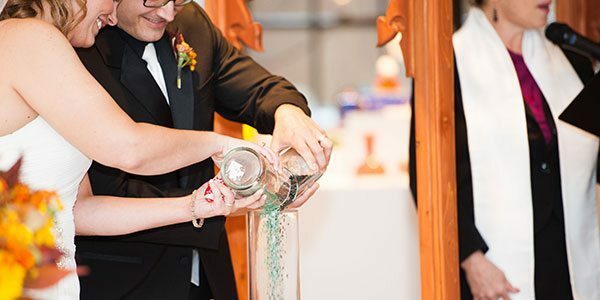 Immediately he was hooked. 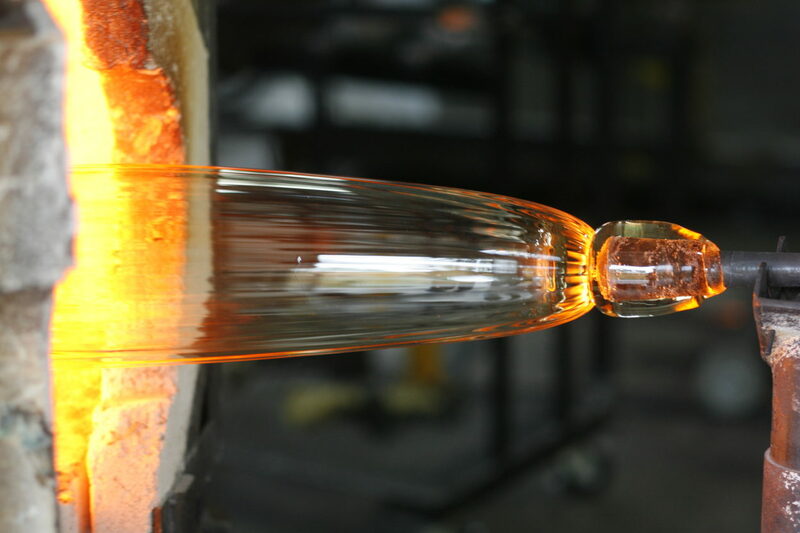 He found the fluid nature of the material, intense heat, and concentration required to make glass to be extremely alluring. 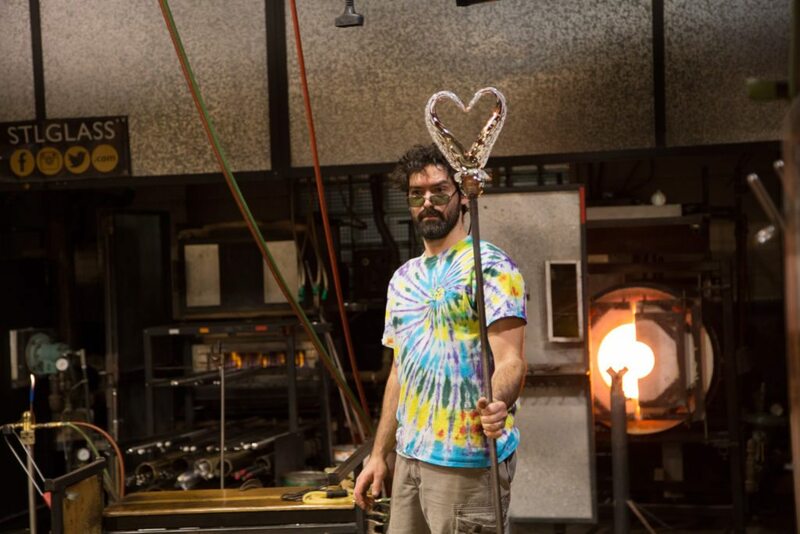 After that Introduction to Glassmaking course Dan knew this was a craft he wanted to master. 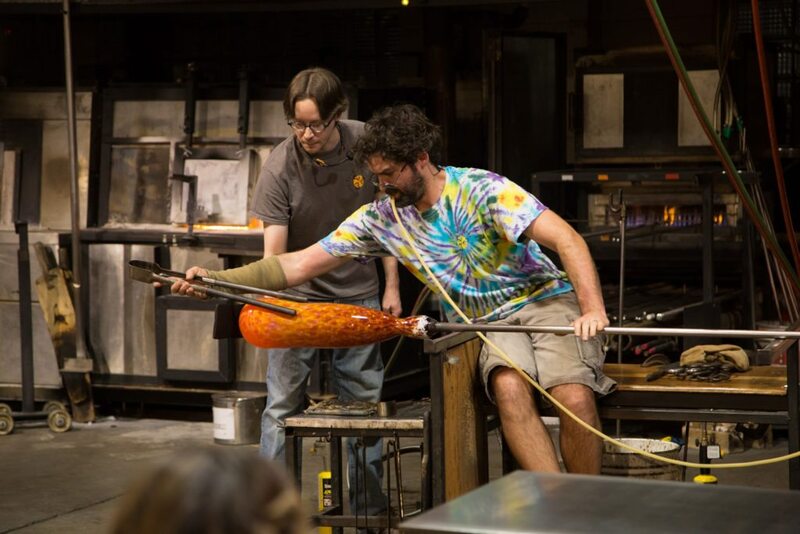 After receiving his BFA in Glass Art from Kent State University, Dan traveled the world working with many internationally recognized studios and artists, including the Corning Museum of Glass in Corning, New York, and for glassblowing maestro Davide Salvadore in Murano, Italy. 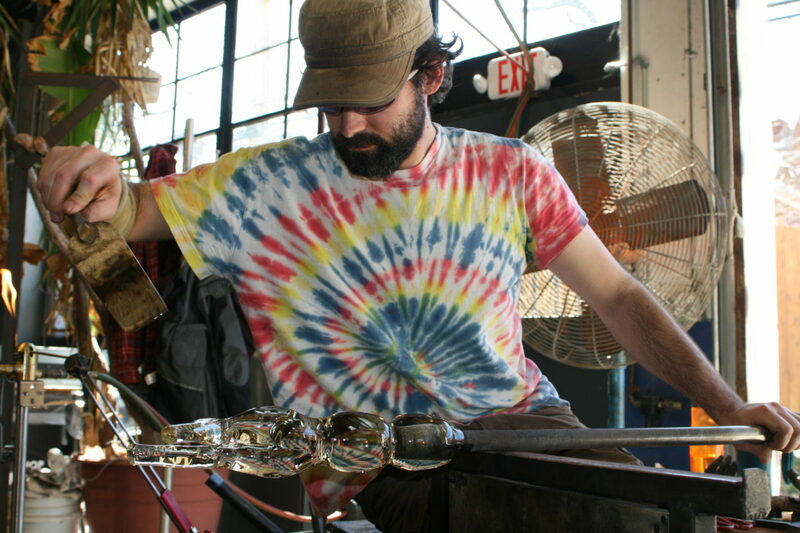 Currently, Dan is the Hotshop Director for Third Degree Glass Factory. 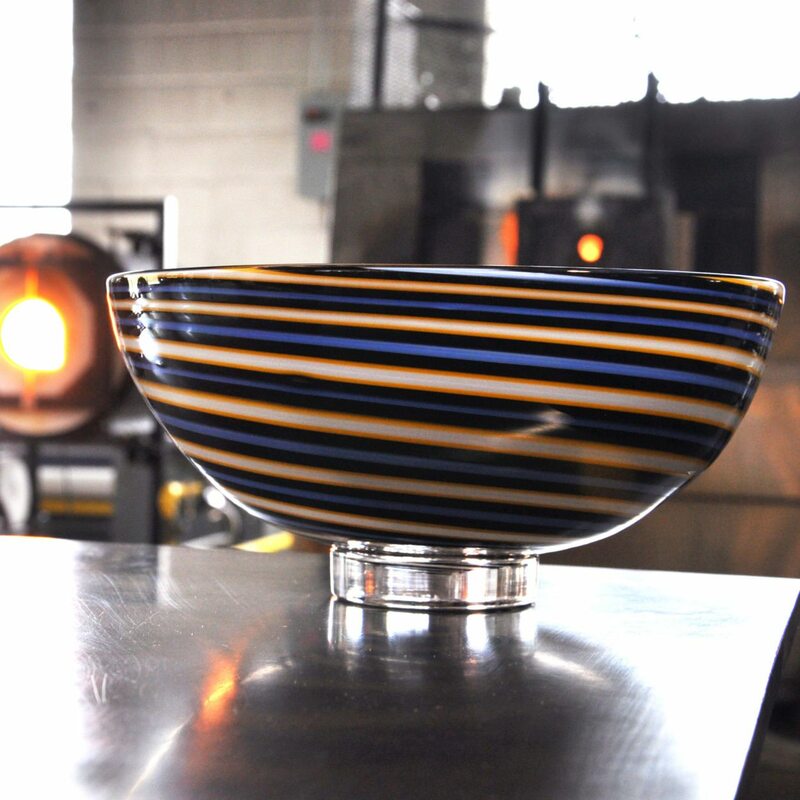 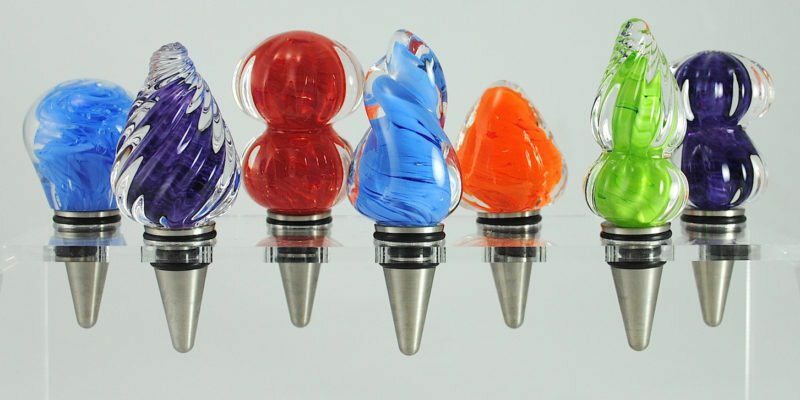 Dan always strives to push the possibilities and boundaries of the process by making large vessels, objects with intricate details, and using an array of unique color applications. 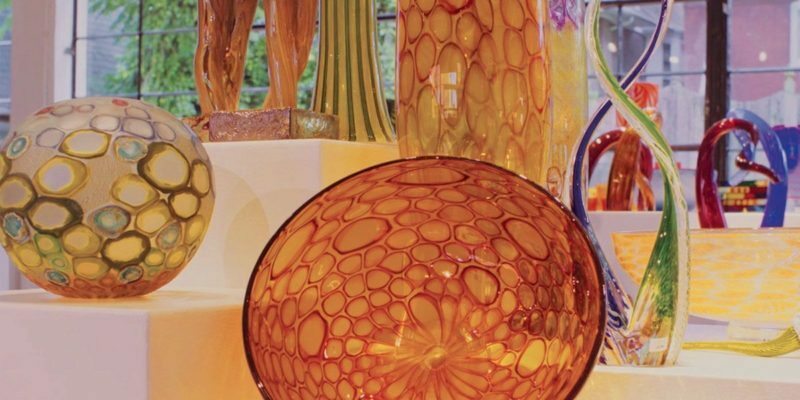 You can find his art in museums, galler- ies and private collections across the globe.